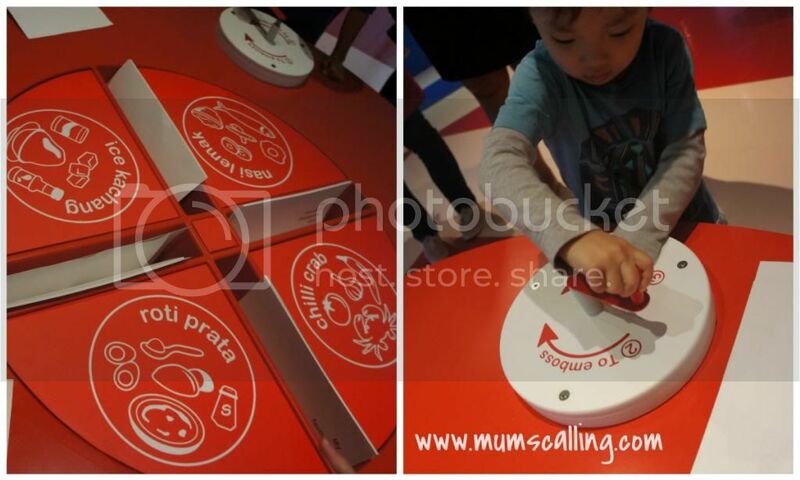 We had the privilege to experience some fun at the special preview of PLAY@National Museum of Singapore. I was very excited when I read about this upcoming project working through the museum, I wondered if it would be similar to some museums we experienced abroad. It was however, rather small and contained, but we didn't leave unsatisfied. 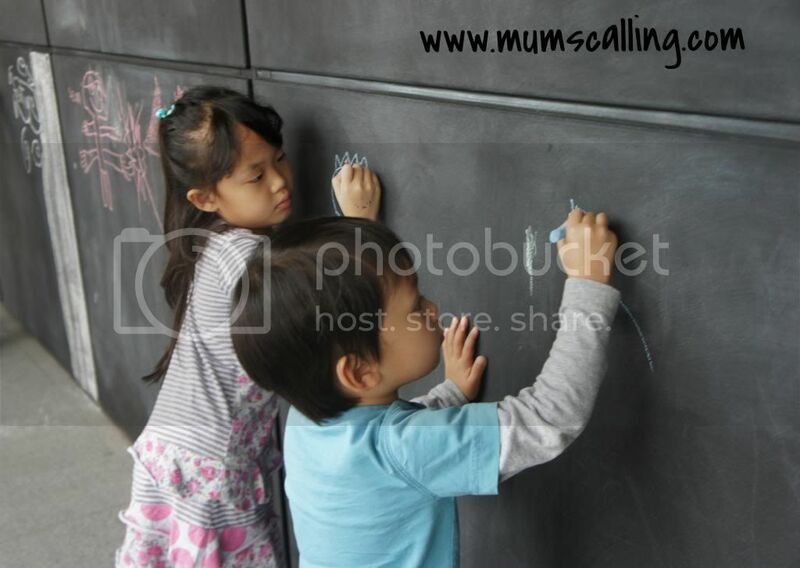 PLAY is 2 large enclosed area of play and craft, with a little bonus of an outdoor garden where little kids can chalk up some graffiti on the chalkboard wall. While Js were all soaked up in their play, it didn't matter to them how awesome or not the place was crafted out. 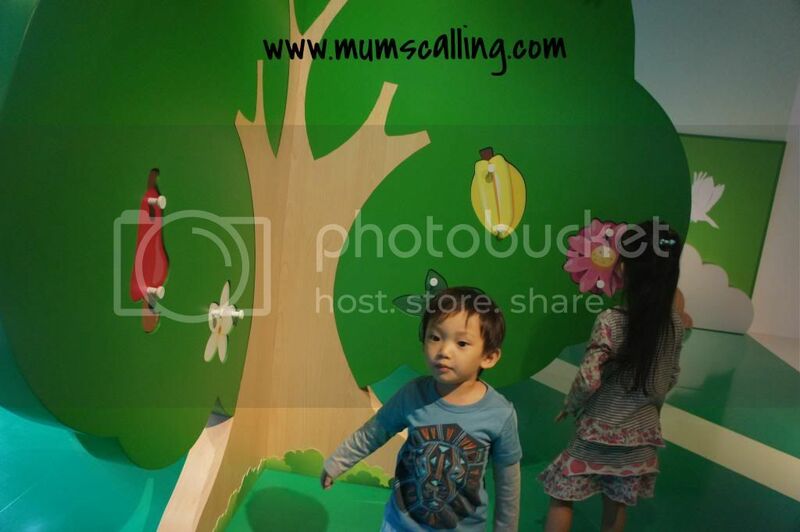 PLAY was very much themed to our local culture and childhood moments. It kind of encouraged me to bring them more often to the museum for greater insights of our history and culture. Below are some captures we had at PLAY. 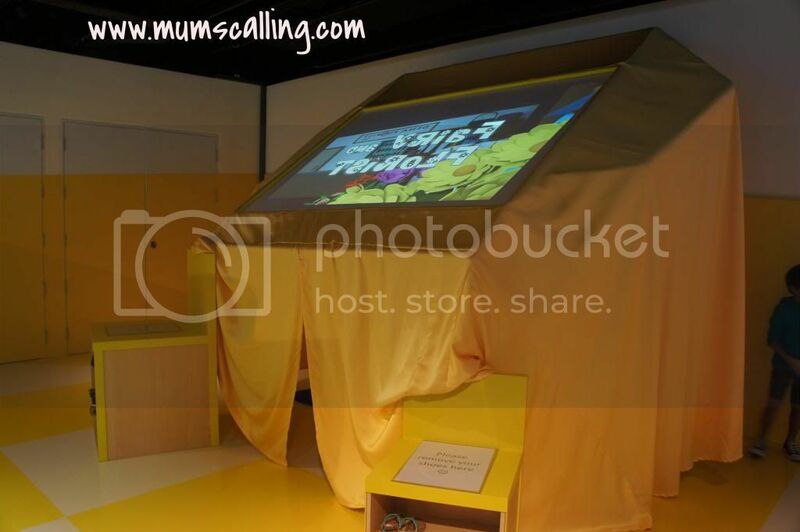 At Explore, there was a mega huge TV, for little ones to put up their puppet shows. Puppets were left there for them to create and perform. 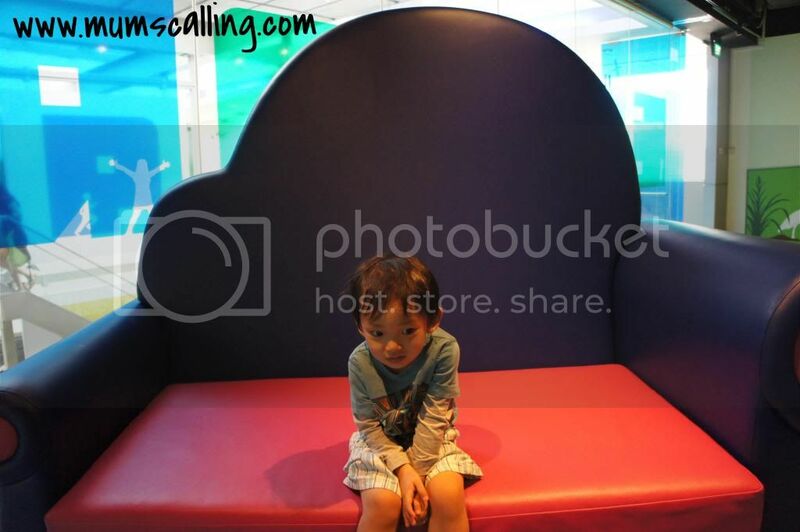 Audiences of the puppet show were in for a treat on the comfortable humongous chair! Then came this puzzle tree, which could be a little tricky. The flower pieces weren't easy to fit in. You'll need to study its design or do some trial and errors to do a perfect match. 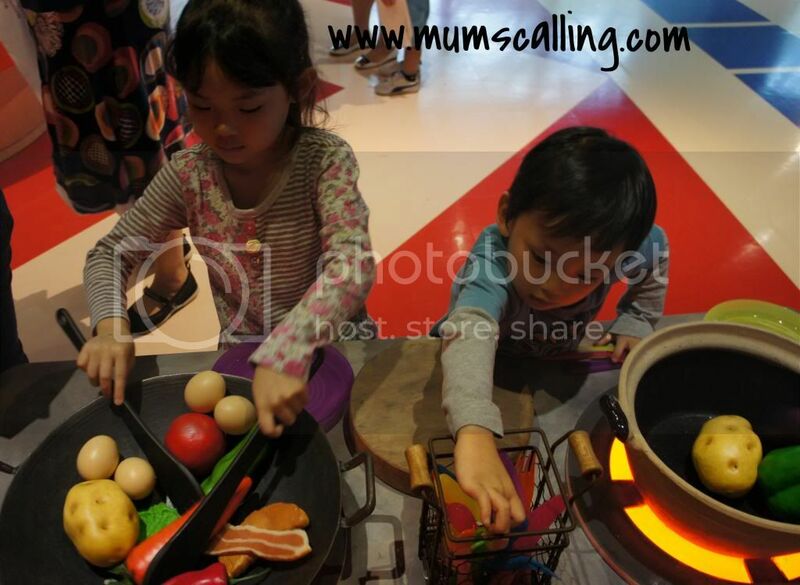 There were 2 stations for cooking play. Js were so hooked on playing chefs that they spent most time here. There were recipe books by the side of the stoves and they reflect our local dishes. Looking like authentic recipes within! Right Below one of the stove was a display of some nostalgic items. It was a relishing moment when I saw the steamboat utensils. I talked to Js about its usage and the moments we gather for such a meal around the table. Especially during our Chinese New Year. 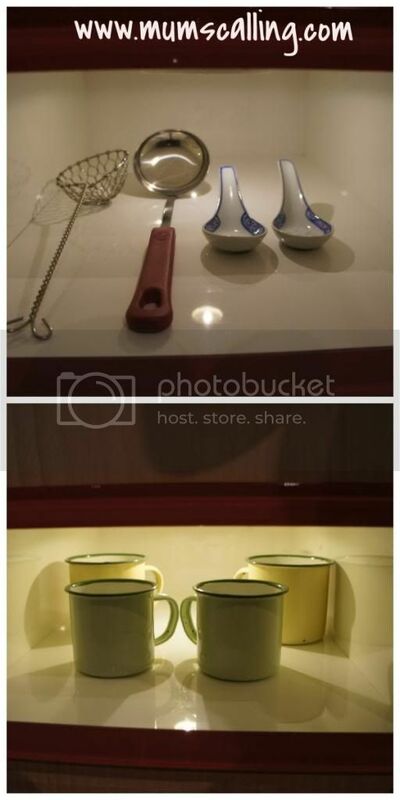 Steamboat utensils and tin cups! There were some charts introducing the ingredients of our local delights. Gets kinda embarrassing to confess that some of these fares are alien to Js. The only thing they every seen and tried is Roti Prata. It's high time for some local hawker feasts. Then came this tent which reminds me about my childhood. How I loved to build my little camp out with our blankets. Popping in and out, doing things sneakily. In this case, the little ones were lying toes up to enjoy some cartoon. A little crafty area for the kids to emboss some of our local delights onto some provided papers. 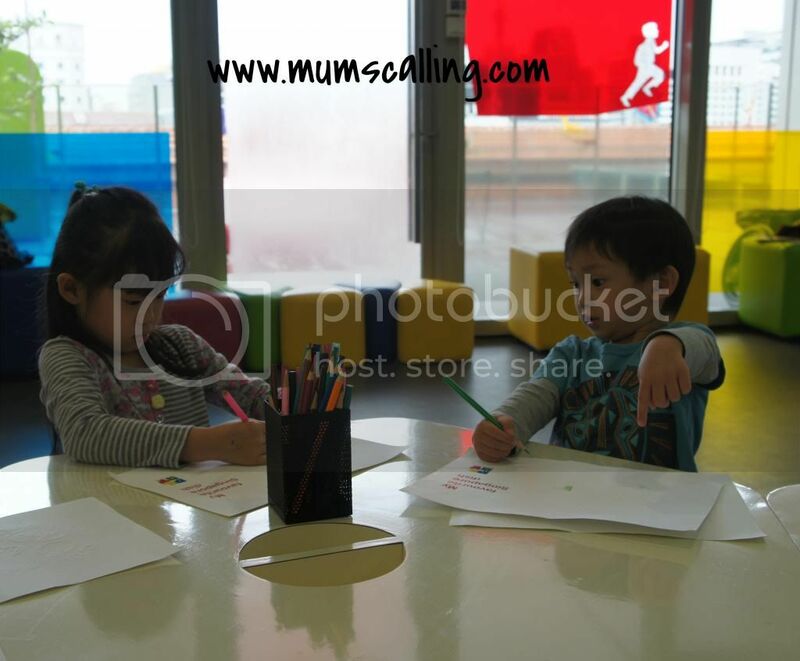 After which they can bring it across to the Create room for some colouring. Love the vibrant colour of this crafty area. The final stop before we ended play was this outdoor, garden extension. Where we saw chalk and chalkboard! The really old school moments. Js love doodling on it and I warned them about it being the only time for wall graffiti. Not any other wall. It didn't take more than an hour for them to say goodbye. It was a good 1 hour allocated for play. At the end of it, although I had much thoughts about it being able to include more fun, due to my prior expectations. 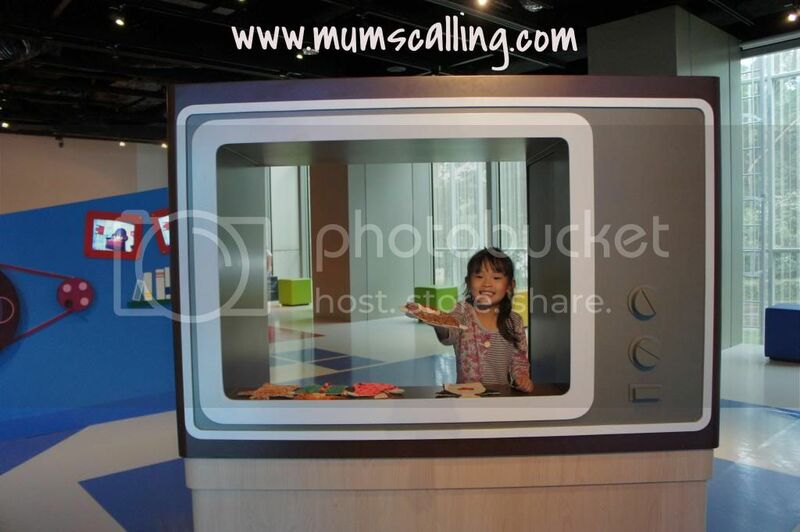 I've come to realized this concept is very much in line with our National museum's theme, all too authentic and unique to us, Singaporeans. 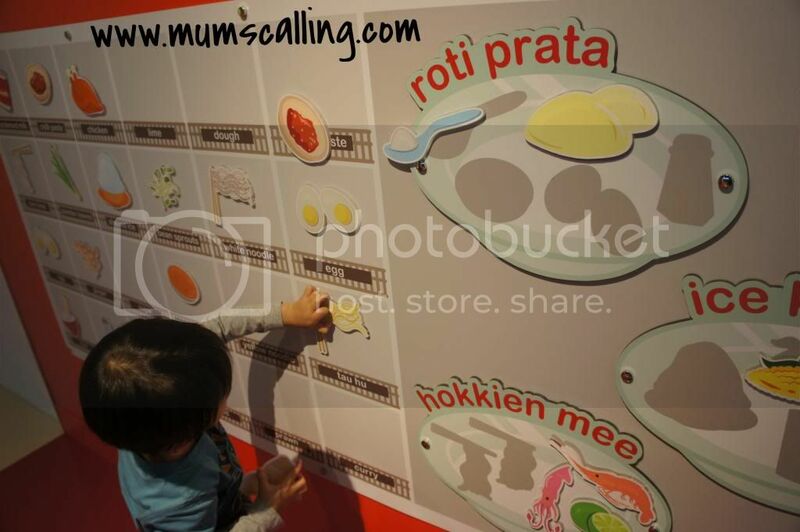 Where else on Earth can we find prata, chilli crab, nasi lemak and ice kachang?!! Uniquely Singapore.